The Only Haunted House That's Actually Haunted. As seen on Travel channel's Ghost Adventures, The Slaughterhouse is back and better than ever with 5 bone chilling attractions under one roof. The infested Boiler Room, spine chilling Cirque du Slay – a Coulrophobic's (fear of clowns) worst nightmare, City Meats – Tucson’s only extreme haunt where they can and will grab hold of you, The Apocalypse – a live action zombie killing experience with military grade laser weapons and the demented Voodoo Bayou. Plus, check out our two new featured attractions - Axe House and our 3 brand new Mini Escape Rooms! There is something to scare everyone this Halloween season so what are you waiting for? 2 New Attractions & 5 horrifying haunts under one roof! Tucson's first Axe throwing arena, Axe House, will be open during this haunted house season! Bring your friends and rent out a lane for some Axe Throwing fun OR try it out while you are at the haunted houses Midway Style to win a prize! Axe House is located inside Club Carnage aka the gift shop, so get your friends and get ready to summon your inner Viking for this fun new attraction! LOVE Escape Rooms? This year, we have 3 new Mini Escape Rooms open only for the haunted house season! Tiny's Toy Room, Zombie Killer, and Airstrike. Your group of up to 4 can see if they have the smarts to make it out in 5 minutes or less! Tickets available online or on location - but they sell out due to the limited number per night! Don't miss our full-scale 1-hour long Xscape Room; Human Xperiment which reopens in November. Do you LOVE Escape Rooms? This year, we have 3 brand new Mini Escape Rooms for the haunted house season! Check out Tiny's Toy Room, Zombie Killer, and Airstrike to test your skills to see if your group of up to 4 people have the smarts to make it out in 5 minutes or less! Tickets to our Mini Escape Rooms can be purchased online or on location - but they do sometimes sell out due to the limited number of groups that can play per night! If you think these Mini Escape Rooms are great, make sure you check out Xscape House after the haunted house season is over - our full-scale, 1 hour long Xscape Room; Human Xperiment, which is taking Tucson by storm! Step right up to the most deranged carnival imaginable! Our freaks and clowns are inside waiting to make you scream! Once equipped with your 3D spectacles, we will set you loose into the madness. Make sure to watch out for Tiny, we told him not to use the chainsaw anymore but these clowns just don’t listen. There are no more tricks involved in making the Boiler Room scary - because according to Travel Channel's Ghost Adventures Crew and guest Post Malone, the Boiler Room is actually haunted. Prepare to be part of a real paranormal experience including a demonic ghost with a thirst for vengeance and scares that will chill you to the core. Will you enter the Country's ONLY TRULY HAUNTED, Haunted House? Being the most extreme haunt that Tucson has ever experienced, City Meats is not for the faint of heart. Our butchers are looking for some fresh meat and that means you could be the next course. Once you enter the City Meats doors, there is NO going back. They can grab you, smell you, and chase you as they wish- inside of City Meats no one is safe. Being the most extreme haunt that Tucson has ever experienced, City Meats is not for the faint of heart. Our butchers are looking for some fresh meat and that means that you could be the next course. Once you enter the City Meats doors, there is NO going back. They can grab you, smell you, and chase you as they wish- inside of City Meats no one is safe. 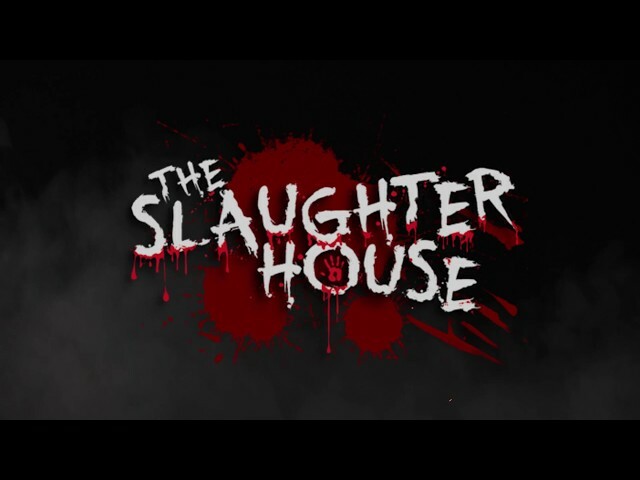 The Apocalypse is the Slaughterhouse’s TOTALLY INTERACTIVE haunt! We can guarantee you have not experienced anything like what this attraction has to offer. The zombies are awaiting you upstairs, but now they are coming with full force because you will be ARMED and able to fight back. Do you dare face the Apocalypse? Best Halloween experience I've ever had. Apocalypse was super fun!!! Would definitely recommend to anyone looking for a good scream.